This guide is adressed mostly to new players / people checking what the hype is about (for plains or fortuna recently) / people that played a bit a while ago but didn't like it based on various reasons. Is this pay to win? No, it is a PvE game, you buy weapons and slots for convinience (so you don't have to farm them). Weapons only affect the style of doing stuff to kill things. All weapons can be good (up to level 80 which is most content/also startchart) but others can be more effective at dealing with higher level content. (for pvp content/ Conclave you will have other mods that do a whole lot of nothing most of the time and depends only on the skill the player in question). Is platinum a premium currency? Yes and No. Platinum can be bought with real life money but can also be traded for weapon parts (prime weapons), arcanes, mods etc. For somewhat accurate price checking use community made websites like warframe market or riven market. What should i spend my platinum on? When talking about in-game market I recommend you spend it only on warframe/weapon slots and some warframes that are obnoxious to grind for (examples are equinox, ivara, mesa, korra, harrow (fk defection missions)). (And if you made a lot of plat that you don't have use for, buy some dope deluxe skins for warframes. (catalysts/reactor/forma bundle are also ok-ish candidates) never buy weapons without checking if it's worth getting them (ask friends that play the game, clan members or even region chat(region chat may have people that troll you but most wouldn't)). They are too expensive for what you get. When talking about trading with other players, get what you need or you want to skip the grind on. Examples: mods you want but come very rarely (distance of months) with Baro Ki'teer(Primed continuity, Primed pressure point etc. ), You miss a prime part for your chroma prime and it doesnt drop for you after many tries, mods that appear on certain events like Argon Scope, Blood rush etc. (Check different sources for plat prices, I use warframe market). Can I get everything in warframe without spending money? Yes. Excepting TennoGen (skins created by other players and approved in-game) or skins special to prime access(so only skins without affecting gameplay whatsoever). Is this game hard to get into? capitalized YES. Things will be confusing at first and you will have to rely on guides and warframe wiki (also managed by community 95% reliable). How do i trade with others? Trading can be done in "Maroo's bazar" relay or in Clan Dojo. Trading chat can scam the new players to oblivion if you don't use external websites to check prices (like warframe market), or clan chat if you're into a nice clan. It is tedious to use. Does this game have grind? A lot. My best advice is to have fun with the game and try different content. At first build a sentinel (carrier is the best/must have early) with the vacuum mod on it to gather stuff for you from nearby, and you will start gathering resources passively. If you focus on grinding something for too long it will ofcourse get boring, take a break, do something else. Any recommendations on how can I start understanding the mods system? LeyzarGamingViews (on youtube) is the best example i can give for a thorough explanation of modding on weapons. (It seems like a lot of info dumped onto you but after you get it, the game becomes a lot easier). How do I join a clan? Recruitment chat. There are a lot of clans looking for players. Short answear: Massacring hordes of enemies by different types of means. Honest answear. You won't get a taste of the real deal until you've played the game a while. 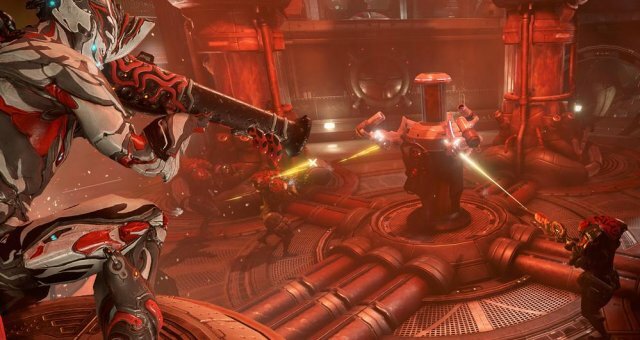 Story missions will seem like a side thing for warframe until you get to it. You will have to go through some star-chart missions and nodes and have a certain level (see progression bellow) to unlock missions. With certain quests you will unlock a whole lot of content and different styles of play. (Examples are "Second dream" and "The War Within" which I'm not gonna spoil). What you will call level on other games, here it is called "Mastery Rank"(MR). You can only level it up by leveling weapons/warframes/pets and sentinels etc. It is a level to show how much you have experienced content in the game( inaccurate description because you can level weapons without ever using them). 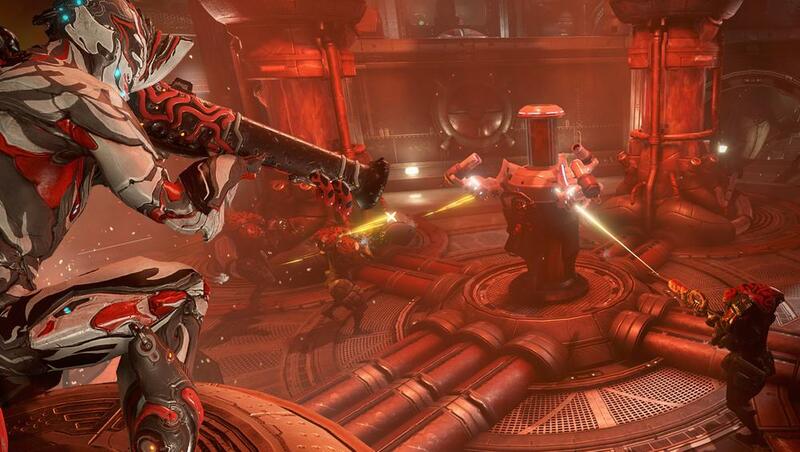 Some weapons are locked behind a MR requirement so you will have to level other warframes and weapons to beef up your MR (MR 15 is for all the unlocks, 16 and up is just for show or completionist). You wont have much slots for weapons so i recommend you use starting plat on slots. My advice is to get rid of weapons you don't like, and keep at least one variation of each warframe. Mods are the base system and the almighty rulers of warframe. They give or take power from your weapons and warframe. Without them, lvl 30 and higher enemies seem so far away.... (Though you will use a small part of the gigantic mod gallery because the rest are not usefull at all.) Earning basic mods will give you a noticeable boost in power in the beginning. Although most of you probably won't like / get past the initial grind. Fun a few days with the gameplay / some content. Grind, not that fun, to unlock a decent weapon that you like, the story missions and get some "basic"(must have) mods(2 weeks or more maybe). Reward for the previous grind, a well written story with good cinematic missions, better understanding of the game (if you passed the grind i guess you got through wiki and guides, unless you are a madman and enjoy mindless grinding or try to understand things on your own), realise the fact that customizing is the best part of the game (warframe/weapon builds and fashionframe)(a few days). Enjoying the unlocked content, and some grind if you try to increase the efficiency of killing things (few weeks or months if you decide you want to challenge the endgame content on the plains of eidolon). Enjoying Fashion-frame (depends on the person), and regular content updates. Grinding for completionist (depends on the person).